Our President Michael Brown’s awesome pooch Hopper was somewhat lead astray last week at the Leprechauns v Sussex Farmers match. 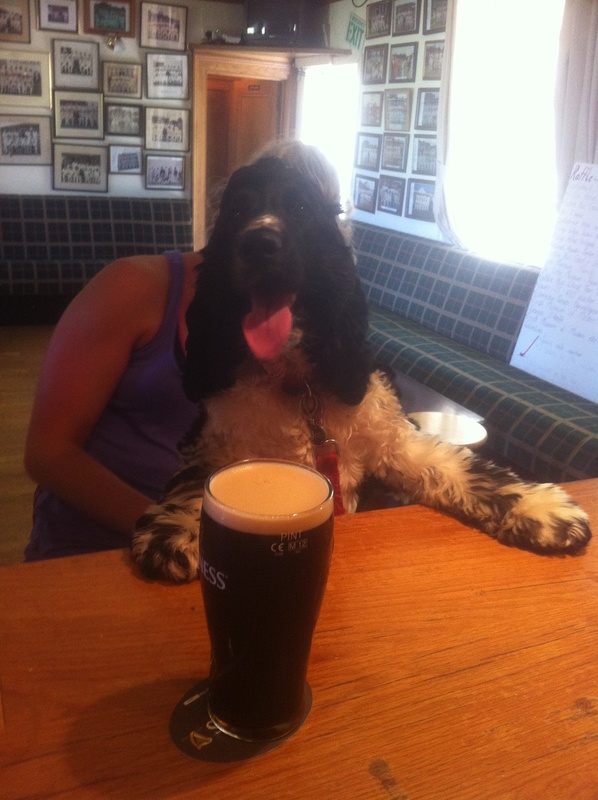 This is how we found him, lurking in the bar, having a right old time…. We’re looking for the funniest caption to accompany this photo and the prize is a posh bottle of wine from our private cellar or if won by anyone under 18yrs, cash to the equivalent value, courtesy of Michael himself. All captions can be sent to phoenixcricket123@gmail.com and the winner will be announced next Wednesday 2nd July….. Go for it!